Back in August of 2017, Google made the initial announcement for its latest foray into the Augmented Reality world: ARCore. Early in 2018, project Tango (Google’s earlier AR effort that utilized specialized hardware) was retired in favor of ARCore. ARCore is clearly the future and is what Google is betting on for its Augmented Reality efforts moving forward. This is a great thing for users across the board since ARCore is built on a software base, not a hardware one. This means that any device can technically take advantage of it. Sure, older, slower devices are going to struggle with ARCore and won’t officially be supported, but there are workarounds even in those instances. An example of this? ARCore For All. This initiative has helped ARCore land on unsupported devices like the OnePlus 3T with some success. This plumbs XRSessionCreationOptions through to device/vr from blink and creates a generic AndroidXrDevice instead of using GVRDevice directly. AndroidXrDevice can create the real device to use based on the options. Eventually, it will create an ARCoreDevice if the options.xr flag is set. We’re unsure where we are in the entire process of this coming to Chromebooks, but before Chromebook tablets and detachables start their full arrival, there’s little use for it. ARCore is less about facial recognition (like Snapchat filters) and more about discerning straight lines, floors and walls. Front-facing cameras on clamshell devices really wouldn’t have any way to leverage ARCore at this point. But as tablets and detachable devices start hitting the market, AR apps and services begin making MUCH more sense. From games to education to interior decoration, AR is going to become a driving force of app development. Take a look at the Play Store’s AR section and you can start to get a feel for what is coming. A friend of mine said it is “VR for the masses,” and I’m inclined to agree with him. AR is highly accessible, easy to understand, and creates unique opportunities for great experiences. 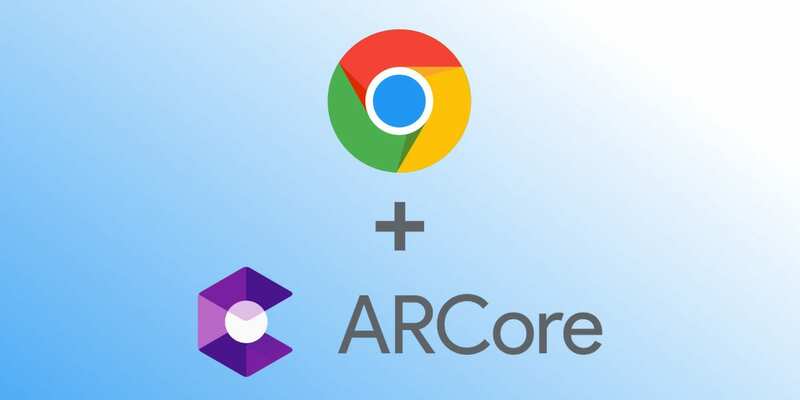 With web-based AR and Android app-driven AR, Chrome OS tablets and detachables are a great target for ARCore. We’ll keep up the development of this as it gets closer to launch, so stay tuned!